I have listed a new property at 24 Fifth AVE in Winnipeg. Cozy Home in the heart of St Vital!! This brand new 924 Sq ft new build is everything you have been looking for. 3 Spacious bedrooms, Master Bedroom with 3 piece en-suite. Combo Dining Living room and good size kitchen. Hurry still time to pick your own colors and finishes! Taxes still have to be assessed. Room to build the garage. Call today for your private viewing! This one won't last! I have listed a new property at 27 Crystal AVE in Winnipeg. Move in Ready!Just in time for Christmas! Absolutely Stunning 1010 sqft open concept raised bungalow in beautiful St Vital! Featuring Large Eat in Kitchen w/ designer cabinets backsplash & quartz countertops, undermount sinks & single faucet taps with tonnes of space & natural light with appliances included (FSDM), Large Living room w/large windows! Bright & Clean! 3 Spacious bedrooms, Master Bedroom has 3 piece ensuite wi/schuter shower system. Fabulous location, built on piles with an ICF foundation w/the best building materials to date.Outside you will find Acrylic stucco,cultured stone, Central A/C. Eat in kitchen w/designer cabinets backsplash & quartz countertops, undermount sinks & single faucet taps with tonnes of space & natural light. Many upgrades to choose from include garage,basement development,custom blinds & much more. High efficient furnace,sump pump,HRV,radon detector. 1 year “Builders Warranty” & 5 year “National Home Warranty”. Price includes lot and GST. Taxes still to be assessed. Please visit our Open House at 120 Blenheim AVE in Winnipeg. Offers are to be presented on Tuesday July 18th at 7pm. **OPEN HOUSE Sunday July 16th 1-5pm See you there! ** Charming 1 1/2 story home located in a quiet neighborhood of St Vital. Great for first time buyer! Featuring 3 good size bedrooms 1 bathroom. Eat In kitchen with lots of cabinets for storage. Spacious living room with large Window. Lower level features cozy rec-room with dry bar perfect for family time. Gorgeous neighborhood large trees, biking trails, walking paths close to shopping and transportation!! Appliances Included. Call today for more information. This one will not last! 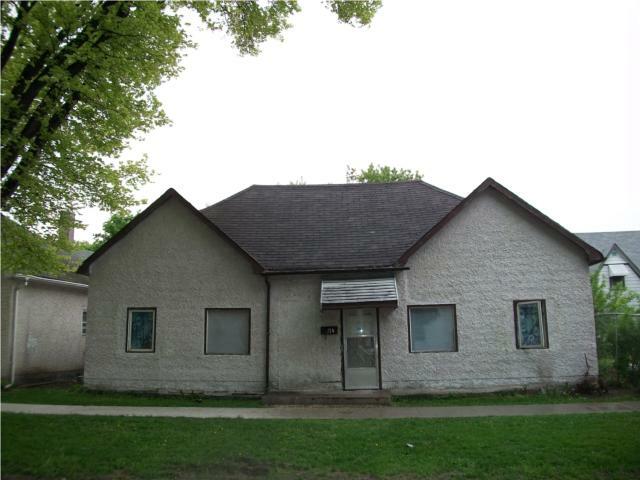 I have listed a new property at 120 Blenheim AVE in Winnipeg. Charming 1 1/2 story home located in a quiet neighborhood of St Vital. Great for first time buyer! Featuring 3 good size bedrooms 1 bathroom. Eat In kitchen with lots of cabinets for storage. Spacious living room with large Window. Lower level features cozy rec-room with dry bar perfect for family time. Gorgeous neighborhood large trees, biking trails, walking paths close to shopping and transportation!! Appliances Included. Call today for more information. This one will not last!